Our thoughts are with you, and we trust that you will remember what you have learned about how to perform your best in exam conditions. Deutscher Abend an der H.I.S. 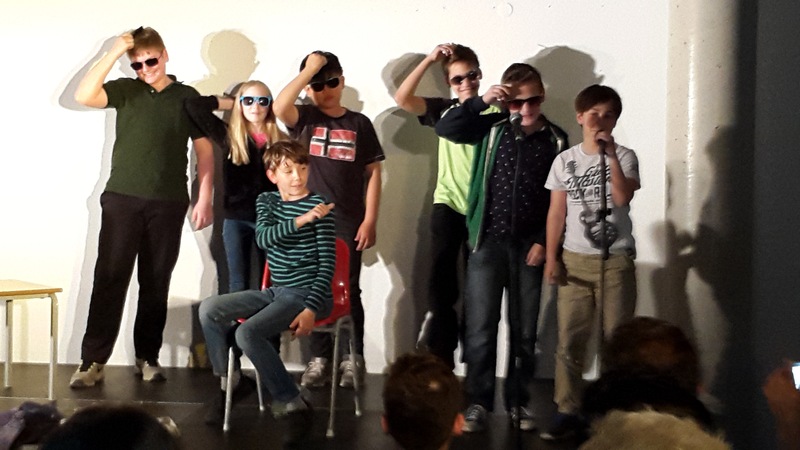 MYP students offered an entertaining programme at the annual German Eve on Thursday. 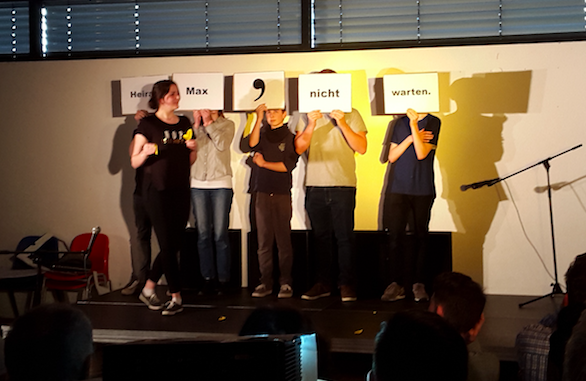 Students presented stories, dialogues, an interview and a “Kaufrausch-Rap”, showing how their German speaking skills have progressed during this school year. Many thanks to the students for their commitment and special thanks to Mica and Stefan for leading us through the evening. 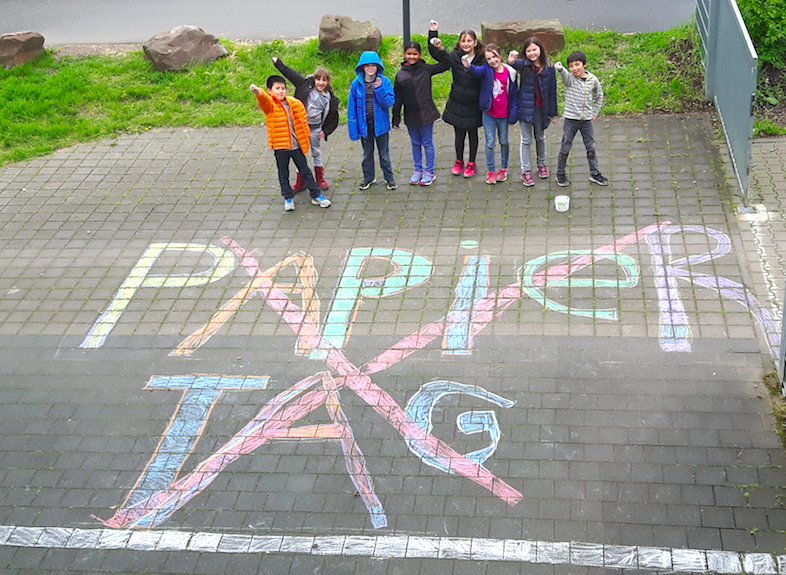 Here are some photos – viel Spaß! 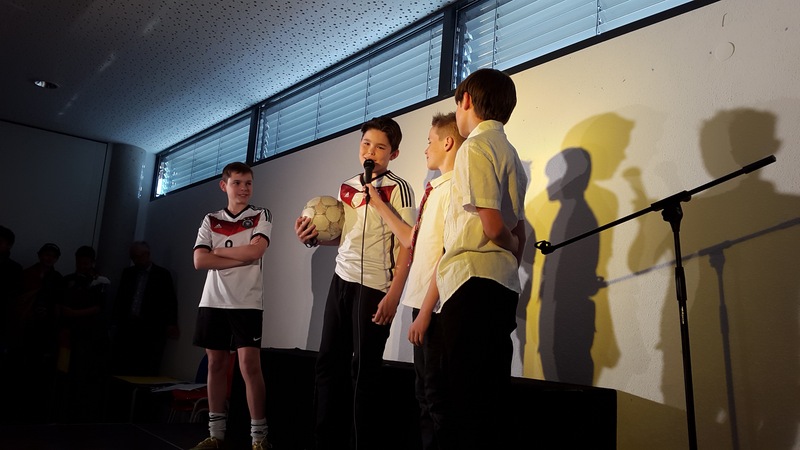 Fußballstars und Fußballfans sind immer gute Interviewpartner! Doch was passiert, wenn die Fans der gegnerischen Mannschaft dazukommen…? Kaufrausch – shopping-süchtig? Kennen wir das nicht alle? 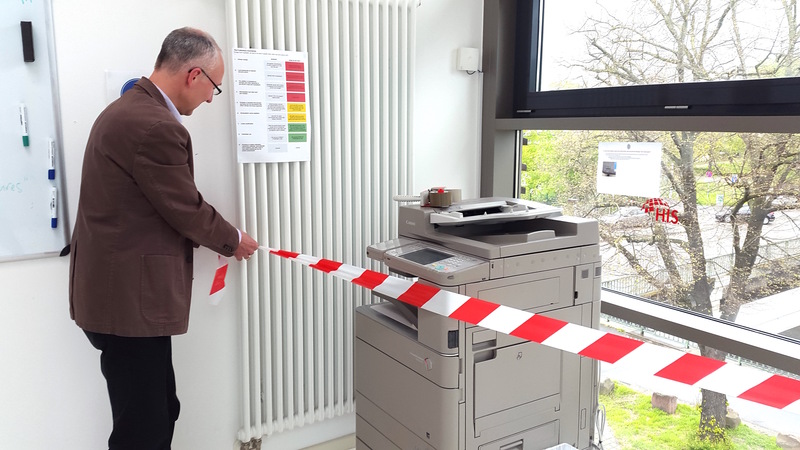 Hauptsache man hat was alle anderen auch haben! Ein Komma kann durchaus Leben retten, man muss nur wissen an welcher Stelle im Satz es stehen sollte. Das kleine Kerlchen bringt sonst unter Umständen Liebesgeschichten zum Scheitern oder macht den Großvater zur Hauptspeise eines gemütlichen Familienessens – es ist also Vorsicht geboten! IB Multi-Programme Evaluation – Step One Completed! At noon today the 3 IB Programme Co-ordinators met to press the “FINISH” button together, sending the uploaded Evaluation documents to the International Baccalaureate Organisation. Many months of planning, meeting, collaborating, documenting and burning the midnight oil to compile the documents required by the IB to evaluate the Primary Years Programme, Middle Years Programme and the Diploma Programme are over. A huge thank you to the H.I.S. staff, students and parents for all the work that went into getting everything ready for step one of the Evaluation process. 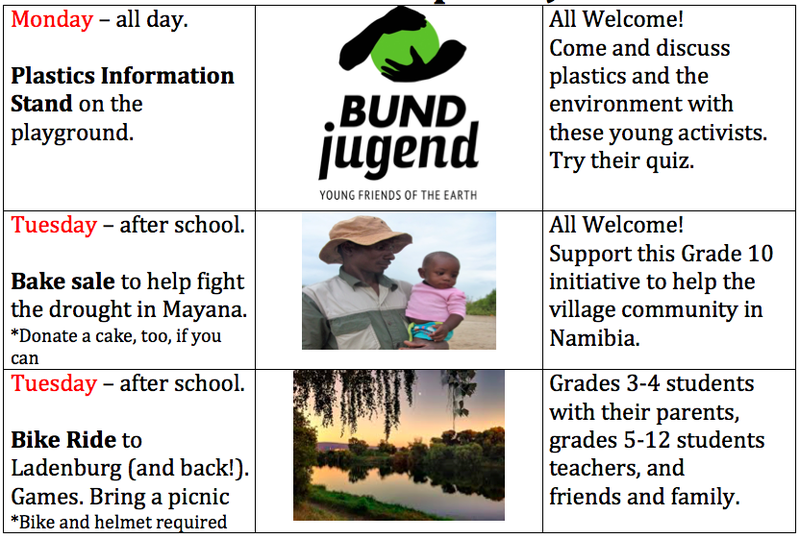 Grade ten students have raised money for Mayana in Namibia as part of their interdisciplinary unit Development and Sustainability. This is an interdisciplinary unit that focuses on development issues and is taught by both I&S and mathematics teachers. 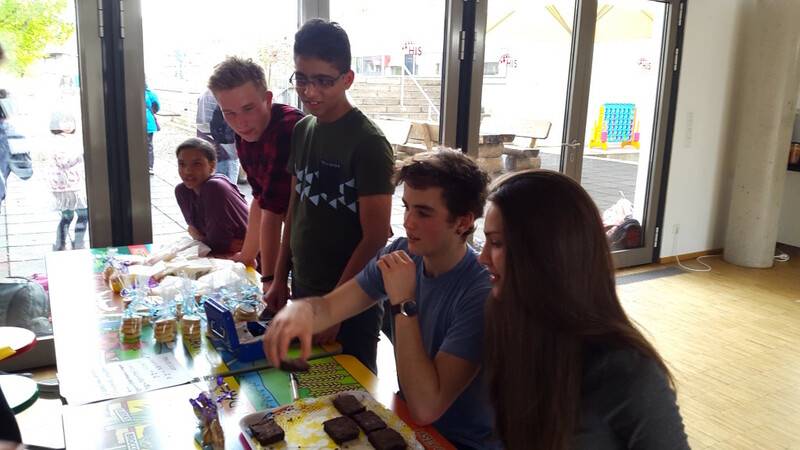 The students organized a bake sale which aimed both to help the inhabitants of Mayana village in Namibia and to raise awareness of drought and famine in southern Africa. 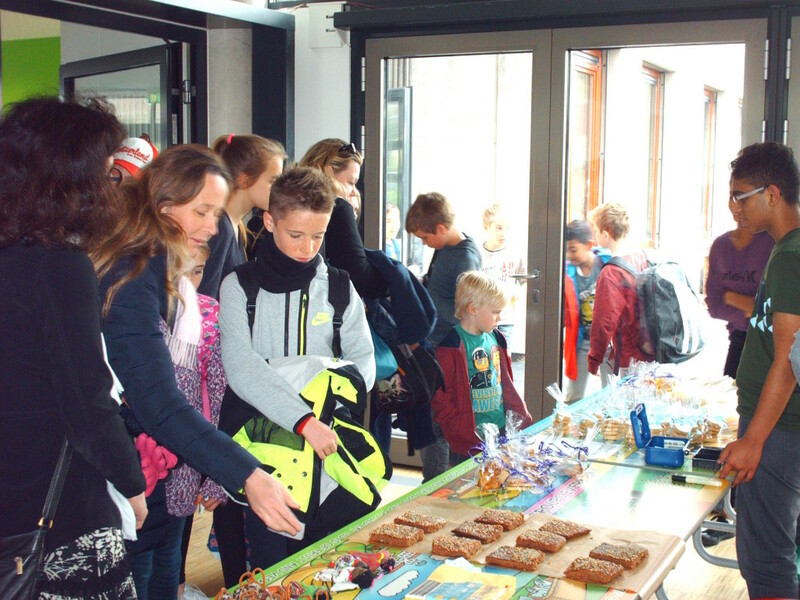 The bake sale was part of the Environment Week. 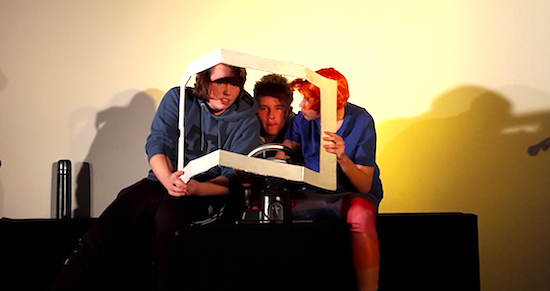 The students raised over 260 euros. The money will be donated to http://make-change-possible-ev.de/ an organization that has been doing valuable work in Africa for many years. 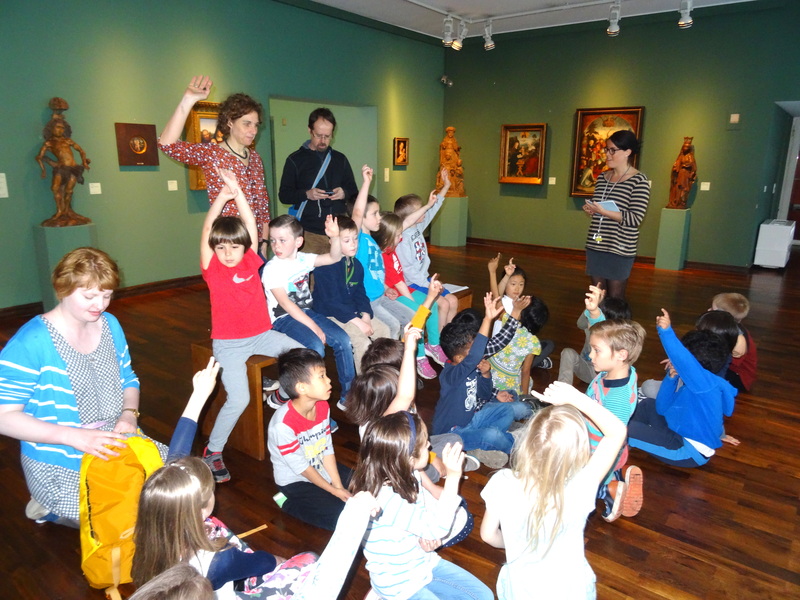 In German, as part of the unit “The Parts of Art”, we went to the Kurpfälzisches Museum in Heidelberg’s Hauptstraße. 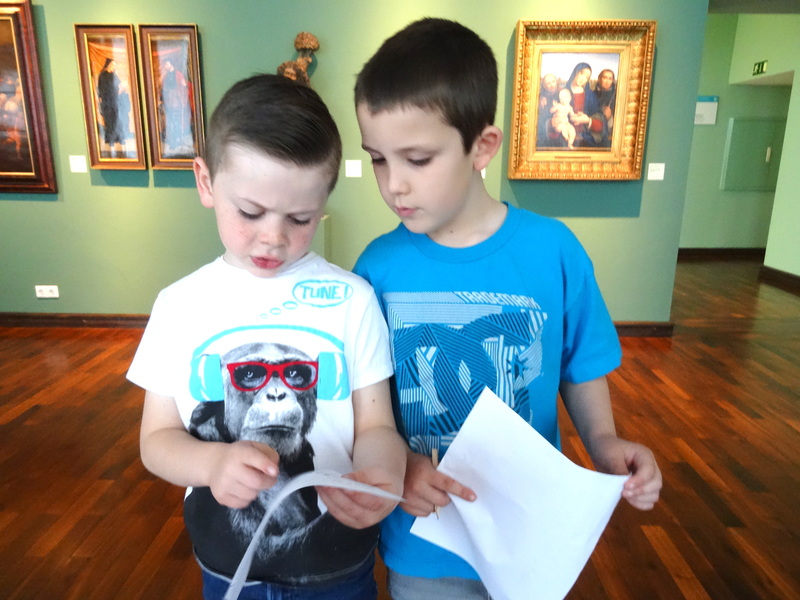 We got a tour through the museum where we looked at different animals in old and new paintings closely and found out about some stories behind certain pictures. After the guided tour students were then able to create their own animal sculpture with clay in a real art studio. Grade 1 really enjoyed being artists. 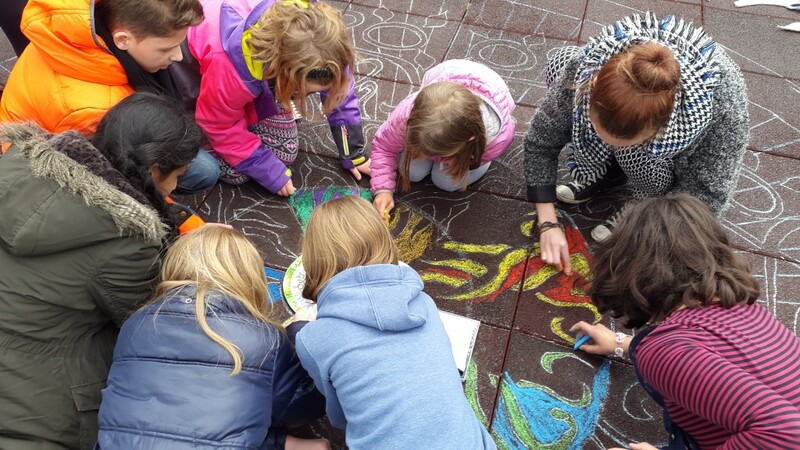 Staff and students were working together to make a beautiful piece of art using coloured chalk. 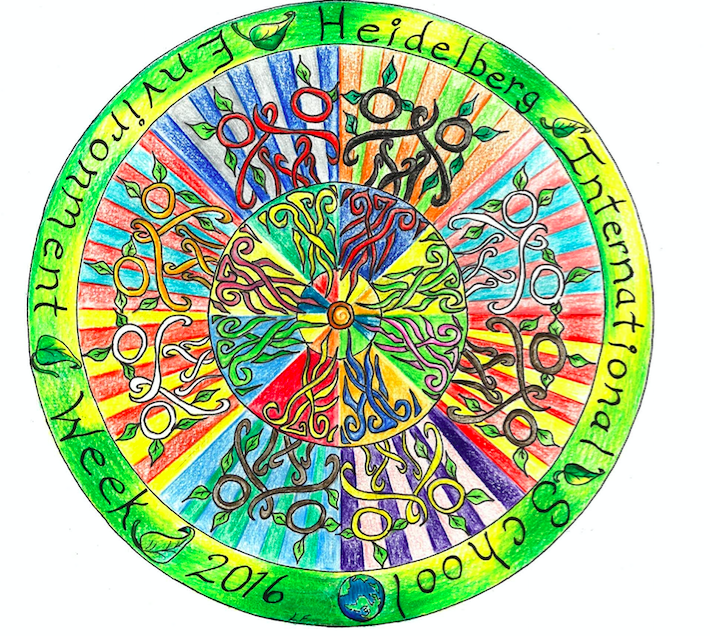 The design of the mandala was created by Lance Fortner. 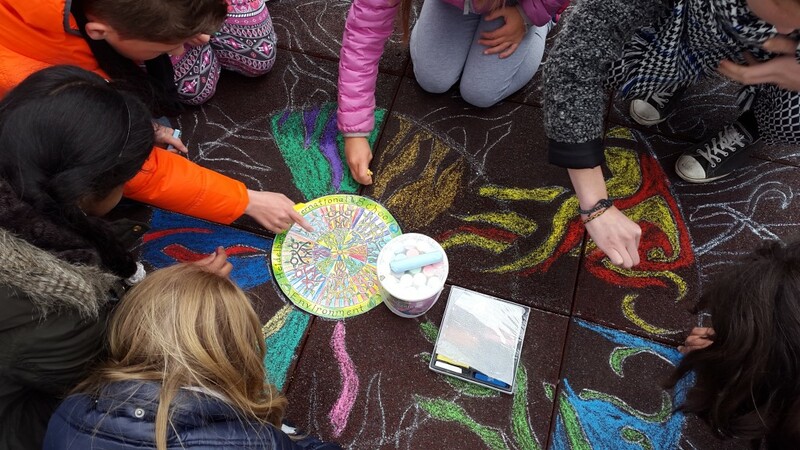 Check the blog again tomorrow for a picture of the finished work of art or take a look at the roof top of the gym – but hurry: The mandala will only stay as long as the wind chases the clouds away! 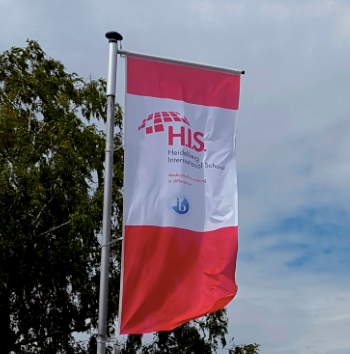 As part of the H.I.S. 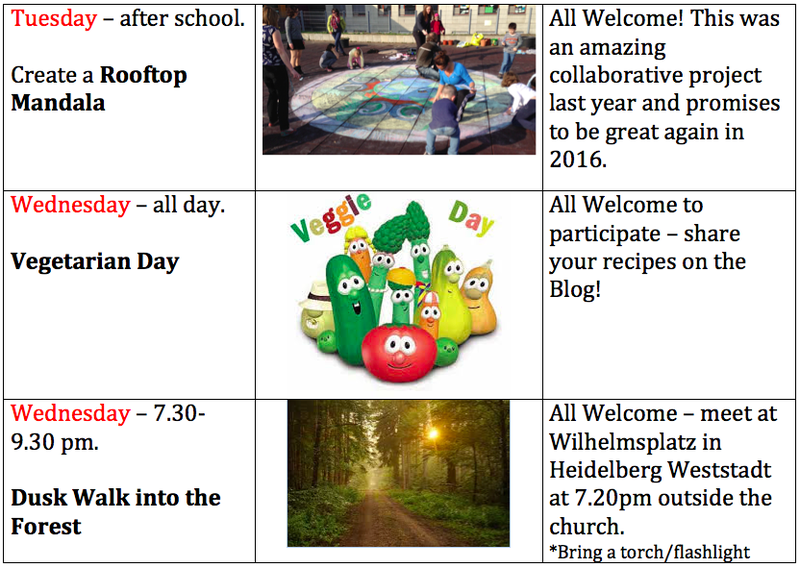 Environment Week we are having a paper free day tomorrow. 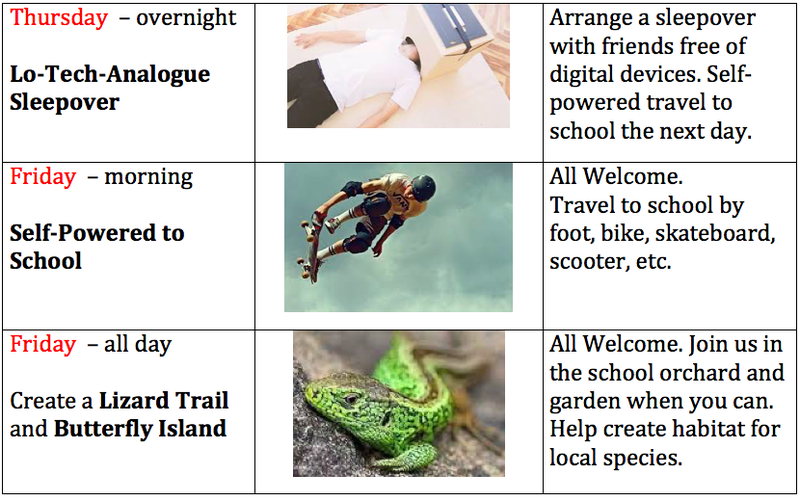 Students and teachers will enjoy many creative ways of teaching and learning without paper. As part of the HIS PYP exhibition, which will be held on May 19th, we have decided to reflect on gender equality. Our research showed that even though the situation has changed positively over time, a lot still needs to be done to achieve gender equality in many domains, such as: education, employment, politics… Also, gender equality varies a lot depending on where you live on Earth. It is important to raise awareness as young as possible to be able to act positively about it. It’s in our hands to create a more balanced future between men and women. We will all benefit from it! At the exhibition, we will present the outcome of our research through art. There will be a wall painting (organized by Elli) and a comic book (organized by Marie). Before the exhibition, we will organize an action: a drawing competition. All HIS students, parents and teachers are invited to submit a drawing that illustrates how they see the relationship between men and women and positive changes they want to see. The submission deadline is May 13th. There will be three winners. 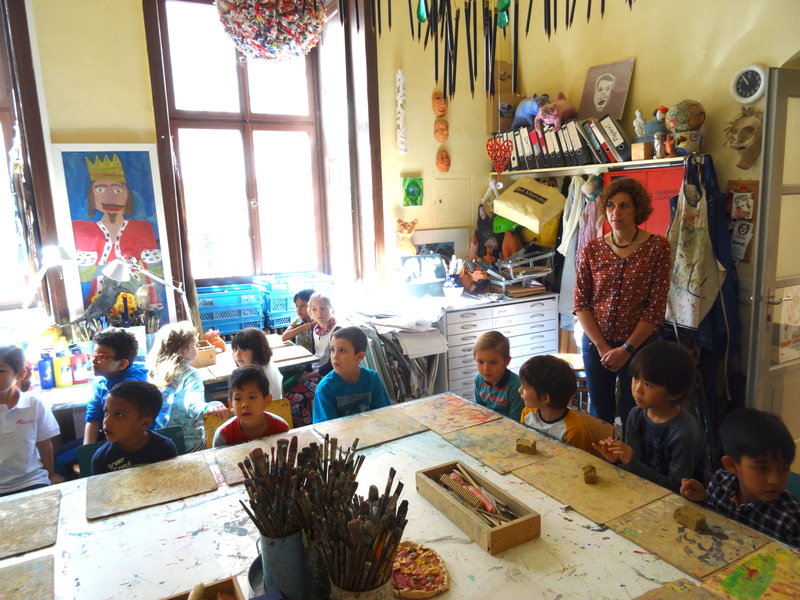 They will get a certificate, and their drawings will be displayed on a wall at school. We hope that many of you will participate and we look forward to seeing you at the exhibition! Calling all artists and designers… we want the Yearbook front cover to be designed by someone in our school community (a student, parent or staff member). The deadline for entries is May 17th so keep your eyes out for information in the newsletter and on posters in your classrooms. There are some requirements, so make sure you check out the posters/newsletter before you start! Enjoy!